Omaha Endodontists: Caci I. Liebentritt, DDS | Relieving Pain. Restoring you. Your dental care is in good hands. Endodontic surgery that you can trust. Omaha Endodontists is now New Wave Endodontics! Now offering the GentleWave Procedure, a state-of-the-art alternative to standard root canal treatment. We know that when you come into Omaha Endodontists, you’re looking for relief. Tooth pain is a big deal. Regardless of what your dental problem may be, we will diagnose it and typically treat your problem the same day. Caci (Patton) Liebentritt was born in Phillipsburg, KS. She earned her DDS degree at UNMC College of Dentistry in Lincoln in 1997 graduating with highest distinction. After graduating, she accepted a position as an instructor at UNMC for one year where she enjoyed educating students. 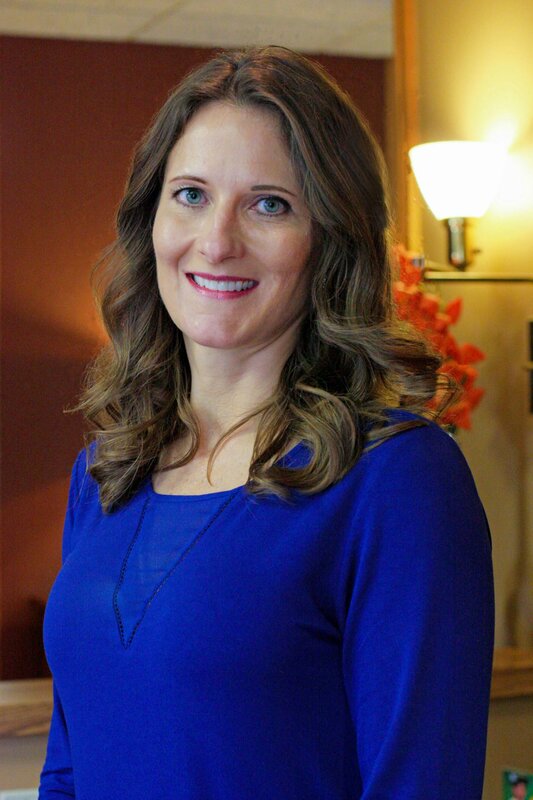 In 1998 she began her specialty training as an endodontist which she completed in 2000 . Dr. Caci has been married for 17 years now, and she is the proud mother of 4 children. When she’s not focused on helping our patients here at Omaha Endodontists, she really enjoys running and spending time with her family. At Omaha Endodontists we’re dedicated to providing you with the highest quality root canal therapy and dental surgery by using state-of-the-art technology. We use a Global microscope on every procedure allowing us to view the anatomy of the tooth on a microscopic level. In addition, we use computerized digital radiography to further enhance our ability to identify small canals. Tired of being in pain? Need endodontic care? We’re happy to help you! We look forward to meeting you and treating your dental needs. How did you hear about Omaha Endodontists?